Seven years ago, a baby girl (who cannot be named for legal reasons) was born to a 19-year-old-mother who had drunk heavily throughout her pregnancy, despite warnings from healthcare workers that her drinking could damage her baby. The girl was badly harmed by her mothers drinking and now has Foetal Alcohol Spectrum Disorder (FASD), which has led to retarded growth, facial abnormalities, intellectual impairment and other major complications. For the last five years her local authority has tried to secure criminal injuries compensation, through the courts, to help with her care costs and boost her quality of life. All the courts who have heard the case agreed that the girl’s FASD is a direct result of alcohol abuse in pregnancy. However on Thursday the Court of Appeal ruled that the child was not a person when the poisoning in the womb took place. Rather she was an ‘organism’. Hence, no crime was committed and no compensation is due. The background to some of the machinations and manoeuvrings behind the scenes with this case is helpfully explained by Kathy Gyngell here. What are some of the broader implications of the ruling today? The legal position of the unborn child in UK law has become even more convoluted and incoherent: killing an unborn child is illegal (except under limited circumstances) but maiming or otherwise harming is allowed. 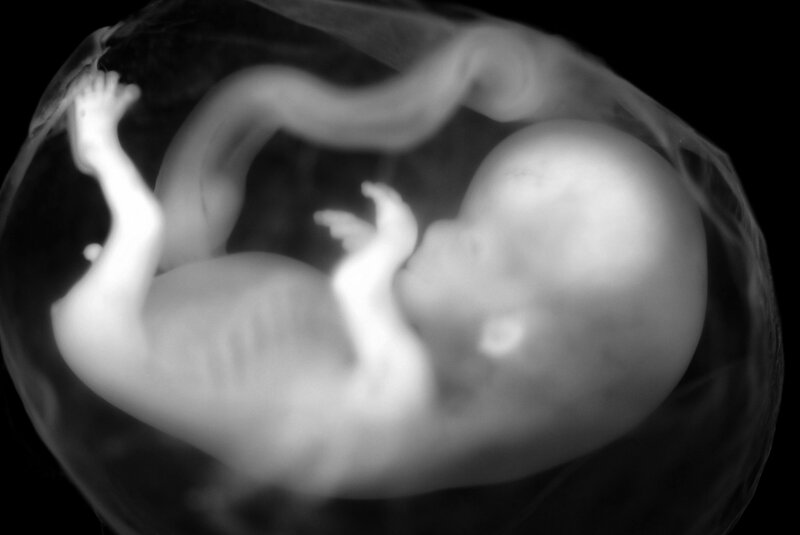 Legally, a baby minutes before birth is just a mere ‘organism’. Yet in every other way a baby minutes before birth (indeed, months before birth) is clearly a baby. Modern technology and 4D imaging completely exposes these ridiculous legal and moral contradictions. A severely disabled child has been denied compensation to help with her care costs simply because the injury happened in a specific location. A group of campaigners has been so desperate to stop any possible infringing of adult liberties, and defend abortion at all costs, that they have campaigned to prevent compensation being granted to a disabled child. The media coverage has missed the opportunity to highlight the dangers of drinking even a small amount of alcohol in pregnancy. When a pregnant woman drinks alcohol, the levels of alcohol in her baby’s blood rise as high as her own. Because the baby’s liver is immature, it can’t break down the alcohol as fast as an adult liver can. This means the baby is exposed to greater amounts of alcohol for longer than the mother, giving rise to the risk of FASD where the mother drinks to ‘excess’(usually undefined).Moreover, the increasing strength of alcoholic drinks, coupled with the widespread use of larger wine glasses, means that many who think their drinking habits are safe may actually be binge drinking.Even a father’s drinking may have an effect. Depending on the size and volume, two glasses of wine could actually be six units. The media (and BPAS) have failed to acknowledge and highlight the terrible impact of FASD: stunted growth in the womb, abnormal facial features and brain damage, which is the most prevalent consequence, resulting in impaired intellectual function alongside a range of other neurological, psychological and behavioural disorders. As Europe’s number one binge drinking nation, incidence here is likely to be near 5 per cent, though few studies have been done on prevalence. It will now be left to the voluntary sector organsations, such as the inspirational FASD network, to step into the gap to help children such as this young girl, who receive little support or indeed, compensation from government. So will we now see posters and adverts warning women who are pregnant not to drink or smoke as it might harm their ‘organism’? Of course not! They will be warned not to risk harm to their babies! But that just illustrates what ridiculous legal and moral contradictions the law has dug itself into now. On one hand we have a baby to protect from harm, and on the other, an ‘organism’ that can be harmed at will.